"Uncomfortable" Starbucks Employees Respond To Becoming "World's Biggest Public Toilet"
Starbucks employees are bristling after being forced to sit through an entire day of training on racial bias on Tuesday, following an April incident in which a Philadelphia manager called the police on a pair of black men who were sitting in the store without having purchased anything, which sparked a nationwide protest and culminated with Starbucks becoming "America's largest public toilet." In order to atone for the now-fired manager's poor judgement, Starbucks rolled out a new "inclusiveness" policy - shuttering 8,000 locations for a day of "Color Brave" training which included several documentary videos, notebooks for employees to record their "private thoughts," and a 68-page employee guidebook which teaches employees about topics such as institutional racism and the history of prejudice. 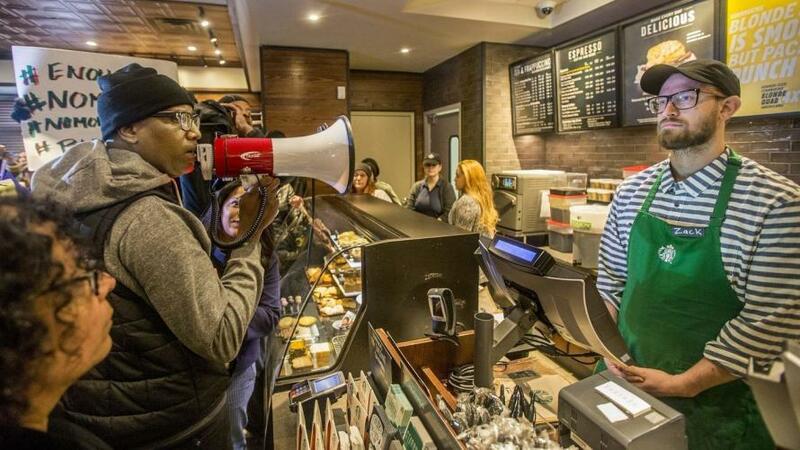 According to the WSJ, "they also listened to a series of audio recordings of Starbucks employees describing interactions they have had with customers in which their own biases became apparent." The whole thing made many employees, especially African Americans, highly uncomfortable. "I don’t think Starbucks realized how uncomfortable it would be for people of color to have to watch these videos and talk about this," said biracial shift supervisor Jamie Prater to the Journal, adding "But sometimes we need to be uncomfortable." "Cordell Lewis, manager of the Ferguson, Mo., Starbucks, was among the employees who said the training seemed to make some African-Americans uncomfortable. He said he could see employees’ shoulders tighten as they leaned forward in their chairs." The company's new inclusiveness training also warned employees not to accidentally mistake scruffy looking husbands for homeless men. In one, an employee recalled seeing a scruffy-looking man approach a woman in line and hold out his hand to her, after which the woman got money out of her purse. The employee said she went up to the man and told him panhandling isn’t allowed in the store. The woman informed her the man was her husband. 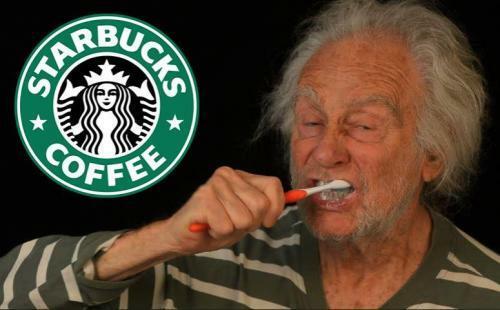 As we noted yesterday, Starbucks rolled back a key provision in their new "inclusiveness" policy which would allow vagrants to use the coffee chain as a homeless shelter. On occasion, the circumstances of a customer’s disruptive behavior may make it necessary to prohibit that customer from returning to our stores. And while the "inclusiveness" training taught employees about institutional racism and not to discriminate against the homeless, others - predictably - felt Starbucks wasn't inclusive enough. Yet other employees were turned off by the whole thing. One black barista in Connecticut told The Journal "it's just to save face. It doesn't mean anything." 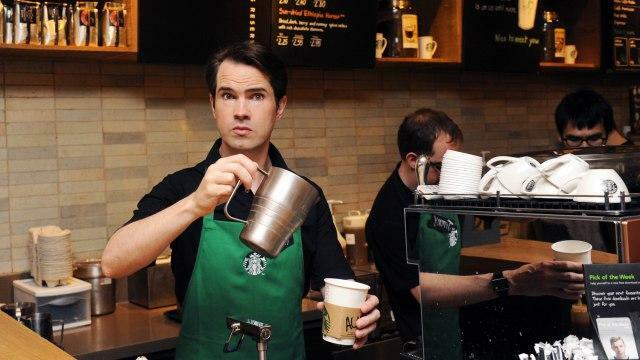 Another barista from Ohio who is white said that he found the training "wishy-washy," and that "I went in with an open mind. I was hoping we'd go through scenarios of how customers might feel in certain scenario and how to make them not feel that way." 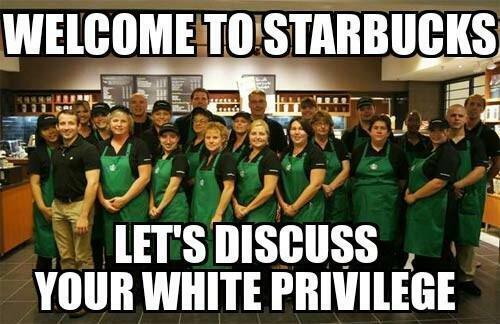 Still, some white employees found the training eye-opening. 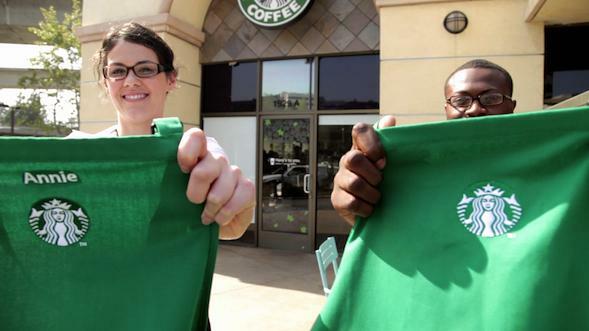 Krystie Ward, a barista in Patchogue, N.Y., said Tuesday’s training was enlightening, particularly a short documentary produced for Starbucks by filmmaker Stanley Nelson Jr. that detailed the history of access to public spaces for African-Americans. It featured a black man describing how he is often followed around stores by employees who suspect he is going to steal something. He said he has to be aware of the way he acts every time he leaves his house, like making sure to keep his hands visible in certain places. “That was really powerful to me, because I couldn’t imagine living my life like that,” said Ward, who is white.